Pallets.com is the ultimate brand representing the systematic merging of multiple international pallet companies since 2012 by Snyder Industries, a global leader in manufacturing extreme duty solid wall molded pallets under the Stratis and Thermodynamics brand names for over 30 years. 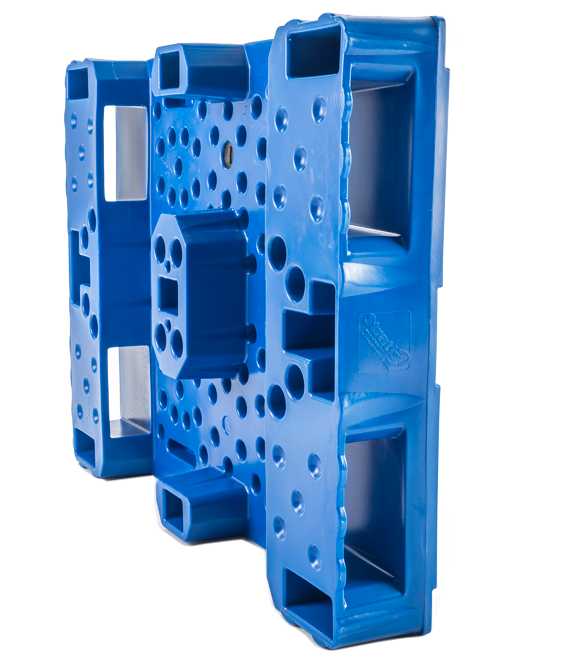 We offer the world's largest collection of plastic, aluminum, steel, welded wire, molded wood, thermoformed, compression molded, injection molded, rotomolded, structural foam, and solid wall molded pallets. We also feature a full line of heavy duty, standard duty, and light duty pallets for every conceivable material handling application. Our products have become the standard in industries such as corrugated, flexible packaging, litho printing, food & pharmaceutical production, oil & gas, and more. 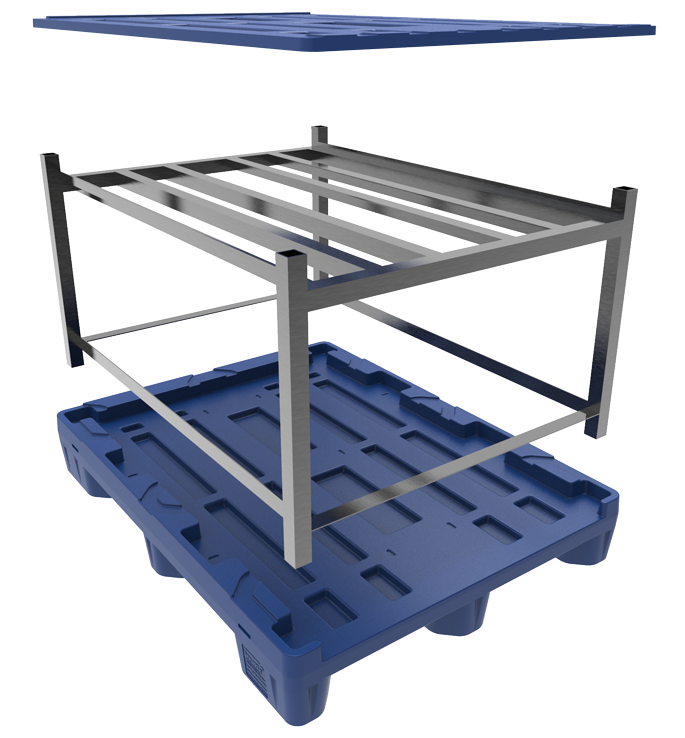 We also serve thousands of general material handling customers with pallets designed to last for 10+ years and withstand extreme temps down to -40 F, most available with internal steel reinforcement if needed. 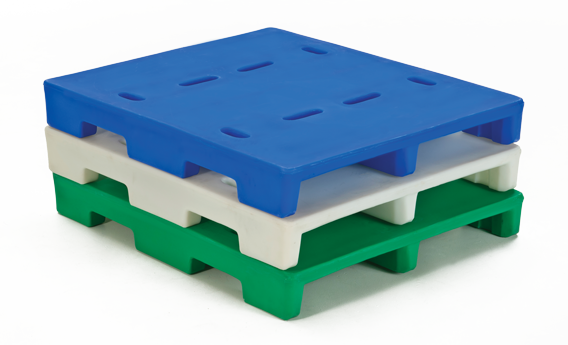 We can support your HACCP programs with special colored pallets. We also offer an FM approved pallet that has been tested and approved using fire retardant resins. 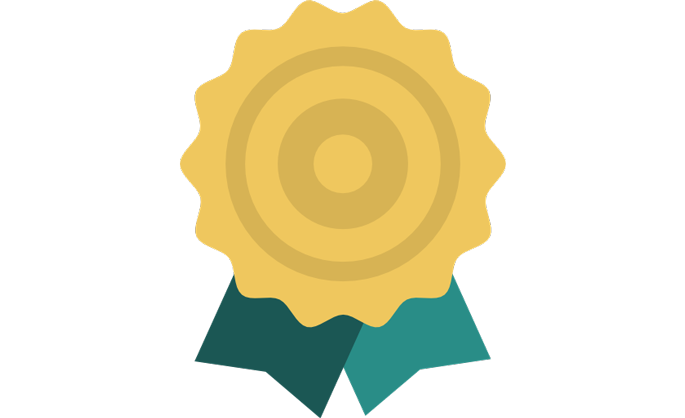 In addition, we meet the high quality standards of ISO 9001 for quality management. Lastly, the majority of our plastic pallets are constructed using FDA-compliant resins for safe food, beverage, and pharmaceutical storage. Our emphasis on meeting the needs of our customers and employees has allowed us to become global pallet solution experts and in doing so, we have worked with over 3000 customers in 64 different countries. With our experience, we are confident we can find a perfect material handling solution to your application. Tell us what you need and we can develop a solution together. Don't live in the U.S. and looking to buy pallets near you? Find the number for your country here. Our folding carton plant has used Stratis Pallets since 1995. These are very durable. Over the years we have manually cut extra slots in some of the pallets, in the opposite direction, to accommodate periodic long direction feeding of labels into our Asitrade corrugator-laminators. 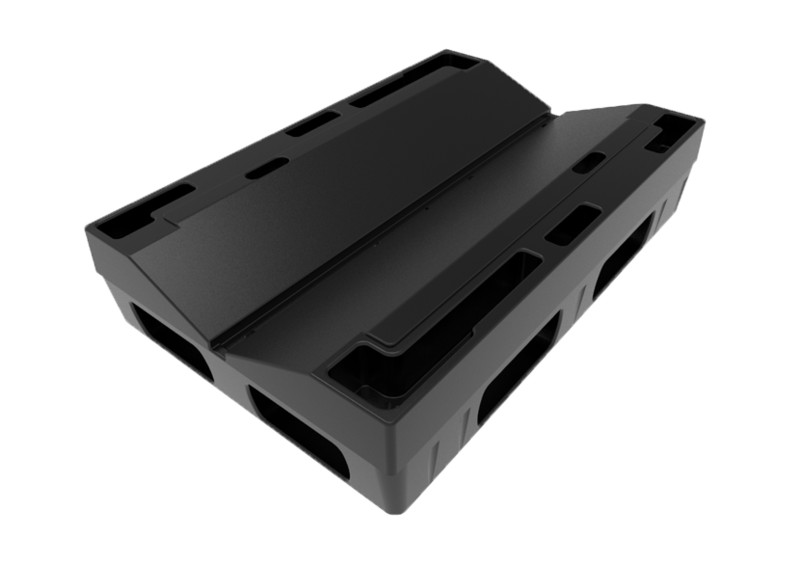 Now that Stratis has developed a new one-piece solid wall molded pallet with bi-directional non-stop feed slots for our Asitrade machines, it looks like we have the perfect Asitrade feed platform, and no more manual slot cutting. Thank you for making this delivery on such short notice it is much appreciated. I have nothing but good comments for the performance of these skids. They have cut our handling time in half and also has been useful in preventing damage to our product. I will continue to order these on a monthly basis until I reach our goal quantity. Once again, Thanks to everyone for making this order happen in the time frame we needed. Their design and construction ensures compatibility with differing machinery on site. They are cleaner and more user friendly than conventional pallets and have become an integral part of the process helping to maintain our position as one of the leaders in our chosen market sector. It was considered to be 'extremely expensive' at the time, however the service and durability of these pallets are exceptional. There are no signs of wear other than mechanical damage on the pallets. I am confident that the pallets will have a useful life in excess of 10 years and without abuse they will last forever.